Could not recommend AFG more! we called AFG when our regular HVAC company told us neither or our two ac units (1 ductless and 1 forced air) were working. they charged us hundreds of dollars for the service call (but didn't fix anything) but were telling us they needed to bring someoene else our to look at them (at a cost of course and then they would tell us about the repair/requirements/cost). It was looking like we were about to be charged close to $1000 just to diagnose the issue. Called afg and they came and assessed the issues with both units and repaired them both same day and for a fraction of what the other company was going to charge us just to diagnose. Also they pointed out a couple of other deficiencies with our boiler venting which they corrected for us. We have used them ever since. They have serviced our furnace, tankless water heater and ductless units and advised us that our AC issues were because the central air unit we had was undersized for the house and we had them source and replace our unit. We have been thrilled with the outcome every time. Amazing service and experience. Very experience people with a lot of knowledge. Raffi was great to with. I definitely would refer anyone to this company. I will definitely work with this company going forward. Thanks to Rafi and his crew, Hameed and Hameed -we got heat! Called Rafi cause our furnace stopped working. He came over quickly to see what the issue was. The inducer motor burnt-out. Later, that same day, he arrived as promised to install the new replacement motor. But a new problem surfaced, the circuit board wasn't sending power to the motor. So it also would have needed to be replaced. To make a long story short, in the long run, we both agreed It would make more sense to invest and replace the furnace. I've used AFG a number of times before and have gotten to know Rafi fairly well. I'm very pleased with this family business. I like it that they answer the calls directly, thus eliminating any miss communication -ie: via secretaries. They have an arrival window time of two hours vs four hours -a great feature to have. And would like to add that the AFG technicians are tech savvy, professional and very polite. Thank you again for your service. Season greetings and Happy holidays! Big thanks to Rafi. We had a bit of a boiler emergency and were lucky to have Rafi see it through to completion. We appreciate his professionalism and commitment. thank you for your feed back. we at afg appreciate it. and are to help with any of your hvac needs. We hired AFG Heating and Cooling on three separate occasions and there's a reason we keep going back to them. The first time we had them over, it was because our furnace was located in the center of the basement and we wanted to relocate it to another corner of the basement. We were very happy with the work and attention to small details that Fasi was able to share with us. Despite moving the furnace to one side of the house, they ensured that the air circulation was not affected by this. We were really happy with the work they did so we decided to hire them again when it was time to install our AC and central air. Again, we were not disappointed! Fasi is so knowledgeable and is always willing to go over multiple options before suggesting the best one. Lastly, we are in the process of finishing our basement and hired Fasi once again to install our vents in the basement. During our renovation process, we took down two load bearing walls that had some ducts running in them. Those ducts had to be redirected through other walls. Fasi found the least invasive way to get this done and the air circulation in all of the rooms feels more or less even. He took a job that I was anxious about (the thought of more holes being made in our ceiling made me cringe) and turned it into something painless and easy to deal with afterwards. Thanks again for everything Fasi! You are definitely our go to person with all things HVAC related! Thank you Eric for the detailed review, we're very happy to see yet another satisfied customer. It's always an absolute pleasure working with you. Needed new furnace. Found AFG on home stars. Rafi responded very quickly. Gave me a great quote. Had it installed in 2 days. Very professional. Thanks Hamid, Hamid. And Rafi. hi Jackie it's been a plseare dealing with you and we truly appreciate your feed back also many thanks for your referral. Karen was a very nice lady. I had these guys come out to look at my air conditioner (just bought the house in winter so could not check whether it worked during home inspection). Prior to the visit I had someone else look at it and recommend replacing two parts as a result and it still did not work. When AFG came out to take a look (I chose them based on the Homestars rating), he took a look at the furnace and told us the circuit board on the furnace was not working and he tried bypassing the board to double check. He told us the board needs to be replaced ($600-800) or replace the whole furnace ($3000+). The furnace was original to the house (circa 1970s) and so it made no sense to replace the board at that cost. We decided to shop around for a furnace and found one on promotion from another business rated highly on Homestars and they gave us a deal for both the furnace and ac. Long story short, when the guys were installing the new units, they took a look at the thermostat and said it was not wired properly and the ac/furnace could have worked for all they know. AFG did not even take a look at the thermostat and rushed through the service call which you pay by the hour. Had he taken his time and checked the thermostat, we likely could have gotten another year or two out of both units. I could not really afford replacing them in the first place but the temperature has been feeling like 35+ for several weeks and we have a northern breed dog who does not fare well in the heat so had to do something fast. I needed maintenance on my attic air conditioner so put a call out on HomeStars. Got 3 hits... 2 didn't get back to me but Rafi did. He showed up on time, was totally honest about my options and fixed the problem. I definitely will need a new A/C system in the not to distant future and Rafi will definitely be who I call. thank you Susan for taking the time to submit a review. it was a pleasure and we are here to help at any time. Had our furnace inspected by AFG. Rafi arrived within the time promised, and quickly diagnosed the problem. We booked a date and time for him to come back and replace the motor (as it wasn't urgent). Rafi sticks to his promised time and price. He is knowledgeable, fair, punctual and gets the job done. Will get our furnace repairs only from AFG in the future and would recommend this company for heating and cooling issues. thank you very much for taking the time to express your experience and interaction with us. all of us at afg are very pleased to see yet another happy home owner. Welcome to AFG Heating and Cooling Services, one of the finest HVAC installation and maintenance services contractors in Greater Toronto Area. Our top priority is to provide homeowners a quality residential High efficiency furnaces, boilers, water heaters, air conditionings Heat pumps and indoor air quality with our innovative and very economical HVAC solution. Our service areas cover Toronto, Mississauga, Hamilton, Oakville, Scarborough, Thornhill, Richmondhill, Burlington, Brampton and others areas of GTA. AFG heating and cooling services offers 24/7 furnace installation and preventative furnace maintenance and diagnoses services. We have seen a big change in winter season from last couple of years. Home furnace has become most important appliance that helps us to stay warm in winter season. We offer high efficiency furnaces at an affordable price range. Our furnace brands are Goodman and AIRE-FLO. Our technicians are professionally trained to do maintenance of other furnace brands including Lennox furnaces, Amana furnaces, Rheem furnaces, Trane furnaces and other GTA’s common furnace brands. We have highly trained experienced and dedicated HVAC professionals to provide you reliable installation and maintenance of High efficiency furnace at reasonable price. We offer quality cooling product’s installation and services for both central and ductless air conditioning systems. Our air conditioning installation product brands are Goodman and AIRE-FLO. We also provide maintenance services of other air conditioner brands included Lennox, Amana, Rheem, Goodman and LG. Our 24/7 support system is always ready to assist you. 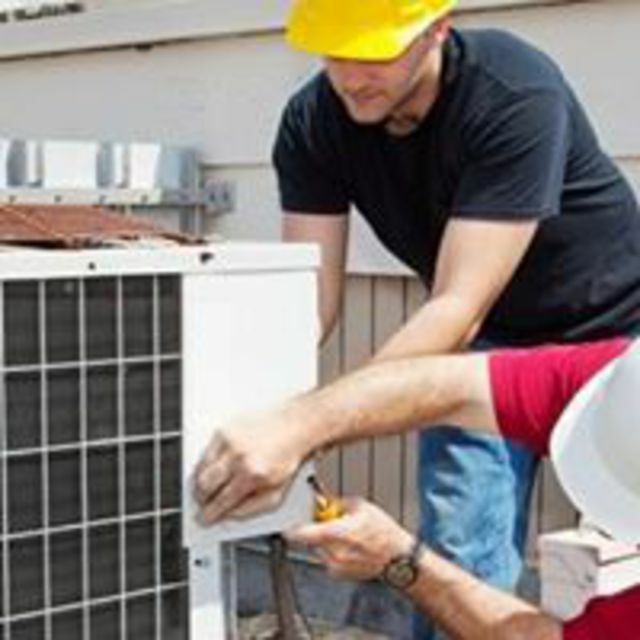 We have professionally trained air conditioning technicians with latest equipment for installation. In addition, our technician are trained to provide you diagnose and repair services of central air conditioner and split air conditioner. AFG Heating and Cooling HVAC contracting company is providing one of the best heating and air conditioning installation and maintenance services. We deal in Goodman and Aire-Flo heating and air conditioning brands. We cover Lennox, Rheem, Amana, Goodman, Trane, York, and other bestselling Toronto heating and air conditioning products for service and maintenance. Our home comfort advisors and technicians are highly trained, knowledgeable and experienced to help and guide you with best product selection at the budget you want. *Indoor Air Quality Systems including humidifiers and air filtration systems. Furnace, A/ac. Boiler, hot water tank. Humidifier. Electronic air cleaner. Air handler. Heat pump. Ductless system. Split system and much more. Repair. Install. Service. And maintenance. Amana. Lennox. Carrier. York. Keep rite. Goodman. Duane. Temp star. American standard. Bryant. Train. Repair. Installation and service of all kinds and brands of residential and light commercial equipment.